West Drayton is a suburban town in the London Borough of Hillingdon, England with a station on the Great Western main line from London Paddington. It was part of the Yiewsley and West Drayton Urban District of Middlesex, which became part of Greater London in 1965. The settlement is centred close to the Colne Valley regional park 2 1⁄2 miles (4 km) north (and north-west respectively) of terminals 5 and 1 to 3 of London's largest airport. Traditionally West Drayton covers 3.4 square kilometres (1.3 sq mi) and currently the electoral ward, drawn for fair representation by three members of the Council, containing the name is similarly sized, however the post town is much larger and takes in Yiewsley on the north side of the railway line as well as Harmondsworth and Sipson to the south. Living in the ward were 14,370 people according to the 2011 Census; the vast majority of the housing is mid-20th century. In 1901 the population of the civil parish was 984. The extent of West Drayton. The London Borough of Hillingdon is split by the Great Western Railway and the Grand Union Canal, both of which run east-west. West Drayton is generally south of this divide and Yiewsley to the north. It is northwest of junction 4 of the M4 motorway (Heathrow Airport spur), which intersects with the A408 (for Stockley Business Park), north for Uxbridge, and it terminates south at Heathrow Airport itself. The nearby A3044 goes through Harmondsworth to the south. West Drayton railway station provides rail links on the First Great Western service from Paddington station in London to Reading and Bristol. The community has a Primary School; and secondary school, Stockley Academy on Falling Lane, this physically and in governance replaced Evelyns Community School. West Drayton has at its heart in the west of the parish a conservation area, The Green, along which are many buildings protected under UK law by grade II and II* listing — residential and commercial. 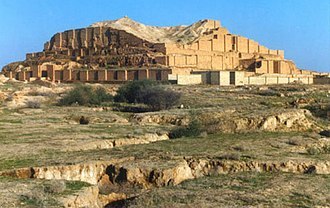 In 939 the area was known as Draegtun. Tun/ton is cognate with the later form town, but originally implied any kind of farmstead of more than one family. Dray is cognate with draught (as in draft horse/a dray) implying a portage/slope used for dragging loads, or simply notable use of the dragged plough, quite possibly given about 13 other examples in England simply land under till. 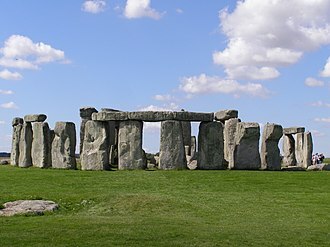 It is recorded as Draitone in the 1086 Domesday Book, and as Westdrayton in 1465. In the 1086 Domesday Book, West Drayton was assessed at ten hides with land suitable for six ploughs. A former RAF West Drayton hosted a military air traffic control (ATC) centre co-located with the civil London Area and Terminal Control Centre (LATCC), residual functions of which relocated to Swanwick, Hampshire entirely by January 2008. The site was redeveloped for housing. Historically, employment was commonly connected to agriculture, the railway yards and the canal. In the modern day, West Drayton has a mixture of tradespeople, airport workers, construction workers and commuters in office professions or public utilities such as schools and hospitals. Its housing hosts people with a range of incomes, with relatively large areas built aesthetically in keeping with existing housing by the local authority. It has rapid connectivity to the M4 and thereafter to the M25 and motorways north-west and south-west. Related local roads link to Heathrow Airport and to Stockley Business Park. A new shopping complex is soon to be built in the town centre. A community radio station, 91.8 Hayes FM, serves the area, as does the commercial station Time 106.6. The European broadcaster Viasat also has its studios and playout centre here. Many hotels are in the neighbouring land of Harmondsworth, colloquially ascribed to its former hamlet, now airport, Heathrow. Notably Guoman Hotel Management (UK) Limited has its head office in the Thistle London Heathrow which is next to the Longford part of Harmondsworth. The Stockley Close Industrial Estate includes a British Midland International office. In July 1999 Sir Michael Bishop formally opened the British Midland Training Centre at Stockley Close. Other tenants in the estate include Almirall, BP, British Airways, HP Enterprise Services (originally Electronic Data Systems, or EDS), and Marks & Spencer. Waterside, the head office of British Airways, is in Harmondsworth. Two local amateur football teams train and compete: Drayton Explorers, at Sipson Recreation Ground, Sipson Way and Draytonians FC. The council's nearest leisure centre in south Hayes to the east, at Botwell Green, and closer William Byrd indoor pool in Harlington. Nuffield Health club, Stockley Park between Yiewsley and south Hayes has many facilities including pool, spinning (indoor cycling) clubs and instructors. The parish, London district or former village mainly in Colne Valley regional park has a long canal path and trails suitable for cycling. 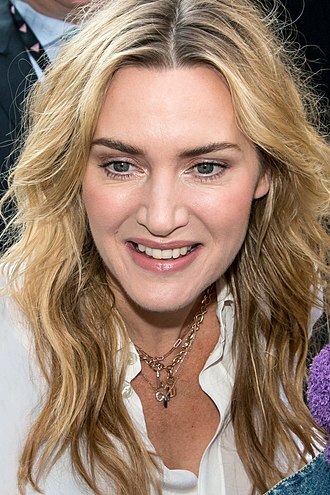 As of the 2011 census, 57% of the population was White British. Living in the ward were 14,370 people according to the 2011 Census; the vast majority of the housing is mid-20th century. The decennial censuses between 1801 and 1901 each show a rise in population and a low population density. From 1801 when the population of the almost identically sized ecclesiastical parish (civil parishes were invented later in the 19th century) was 515; to 1901 when the population of the civil parish was 984. Publisher Sir Allen Lane, most famously known for Penguin Books. Lived at The Mill House, West Drayton. ^ a b c "Usual resident population". NOMIS. Office for National Statistics. 2011. Retrieved 6 May 2013. ^ a b c 838 acres. 'Table of population, 1801-1901', in A History of the County of Middlesex: Volume 2, General ed. William Page (London, 1911), pp. 112-120. British History Online http://www.british-history.ac.uk/vch/middx/vol2/pp112-120 [accessed 25 May 2018]. ^ Hopkins, Heather (April 2009). "An Archaeological Desk-Based Assessment for Inland Homes" (PDF). London Borough of Hillingdon. Retrieved 30 May 2011. ^ "Corporate Office." Thistle Hotels. Retrieved on 28 December 2011. "The corporate office is based at Thistle London Heathrow and is situated across opposite the main reception adjacent to the Conference Centre"
^ "Thistle London Heathrow." Thistle Hotels. Retrieved on 28 December 2011. "Bath Road, Longford West Drayton UB7 0EQ"
^ "bmi’s company rewards." British Midland International. Retrieved on 28 December 2011. "Stockley Close, West Drayton, Middlesex, UB7 9BL"
^ a b "British Midland Airways Limited Stockley Close, West Drayton Near Heathrow, London." KingSturge. Retrieved on 28 December 2011. ^ "the nineties Archived 10 June 2012 at the Wayback Machine." British Midland International. Retrieved on 28 December 2011. ^ "Benefits and features." British Airways. Retrieved on 14 February 2011. "The promoters are British Airways Plc, Waterside, PO Box 365, Harmondsworth, West Drayton, UB7 0GA." ^ Services, Good Stuff IT. "West Drayton - UK Census Data 2011". UK Census Data. Retrieved 10 April 2018. Wikimedia Commons has media related to West Drayton. Heathrow Airport is a major international airport in London, United Kingdom. In 2016, it handled a record 75.7 million passengers, Heathrow lies 14 miles west of Central London, and has two parallel east–west runways along with four operational terminals on a site that covers 12.27 square kilometres. London Heathrow is the hub for British Airways and the primary operating base for Virgin Atlantic. In September 2012, the UK government established the Airports Commission, in July 2015, the commission backed a third runway at Heathrow and the government approved a third runway in October 2016. Heathrow is 14 mi west of central London, near the end of the London Borough of Hillingdon on a parcel of land that is designated part of the Metropolitan Green Belt. The airport is surrounded by the areas of Harlington, Harmondsworth and Cranford to the north and by Hounslow. To the south lie Bedfont and Stanwell while to the west Heathrow is separated from Slough in Berkshire by the M25 motorway, Heathrow falls entirely under the TW postcode area. As the airport is west of London and as its runways run east–west, for a chronicled history of Heathrow Airport, see History of Heathrow Airport. Heathrow Airport originated in 1929 as an airfield on land south-east of the hamlet of Heathrow from which the airport takes its name. At that time there were farms, market gardens and orchards there, there was a Heathrow Farm about where Terminal 1 is now, a Heathrow Hall and a Heathrow House. This hamlet was largely along a lane which ran roughly along the east. Development of the whole Heathrow area as a much larger airport began in 1944. But by the time the airfield was nearing completion, World War II had ended, the government continued to develop the airport as a civil airport, it opened as London Airport in 1946 and was renamed Heathrow Airport in 1966. Heathrow Airport is used by over 80 airlines flying to 185 destinations in 84 countries, the airport is the primary hub of British Airways and is a base for Virgin Atlantic. It has four terminals and a cargo terminal. Uxbridge is a town in west London and the administrative headquarters of the London Borough of Hillingdon. Fifteen miles west-northwest of Charing Cross, it is one of the metropolitan centres identified in the London Plan. Uxbridge historically formed part of the parish of Hillingdon in the county of Middlesex, as part of the suburban growth of London in the 20th century it expanded and increased in population, becoming a municipal borough in 1955, and has formed part of Greater London since 1965. It is a significant retail and commercial centre, and is the location of Brunel University, the town is close to the boundary with Buckinghamshire, which is locally the River Colne. Several historical events have taken place in and around the town, the public house at the centre of those events, since renamed the Crown & Treaty, still stands. Uxbridge houses the Battle of Britain Bunker, from where the air defence of the south-east of England was coordinated during the Battle of Britain. Situated in RAF Uxbridge, the No.11 Group Operations Room within the bunker played a crucial rule during the battle and was used during the D-Day landings. The wards of Uxbridge North and Uxbridge South are used for the election of councillors to Hillingdon Council, the 2011 Census recorded population figures of 12,048 for Uxbridge North and 13,979 for Uxbridge South. The name of the town is derived from Wixans Bridge, which was sited near the bottom of Oxford Road where a road bridge now stands, beside the Swan. 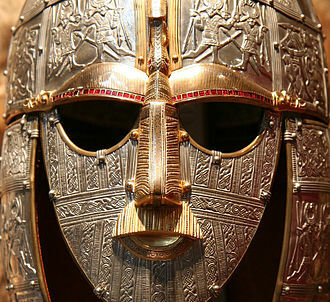 The Wixan were a 7th-century Saxon tribe from Lincolnshire who began to settle in what became Middlesex, anglo-Saxons began to settle and farm in the area of Uxbridge in the 5th century, clearing the dense woodland and remaining there for around 500 years. 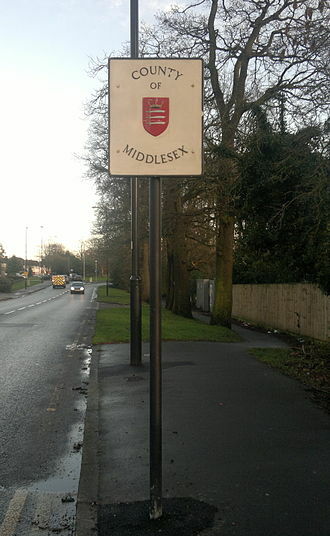 Two other places in Middlesex bore the name of the Wixan, Uxendon, a now preserved only in the street names of Uxendon Hill and Crescent in Harrow. Archaeologists found Bronze Age remains and medieval remains during the construction of The Chimes shopping centre, Uxbridge is not mentioned in the Domesday Book of the 11th century, but a hundred years the existing church, St Margarets, was built. 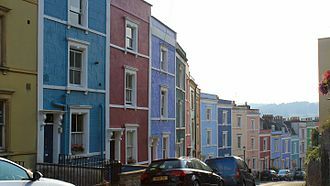 Bristol is a city and county in South West England with a population of 449,300 in 2016. The district has the 10th largest population in England, while the Bristol metropolitan area is the 12th largest in the United Kingdom, the city borders North Somerset and South Gloucestershire, with the cities of Bath and Gloucester to the south-east and north-east, respectively. Iron Age hill forts and Roman villas were built near the confluence of the rivers Frome and Avon, Bristol received a royal charter in 1155 and was historically divided between Gloucestershire and Somerset until 1373, when it became a county of itself. 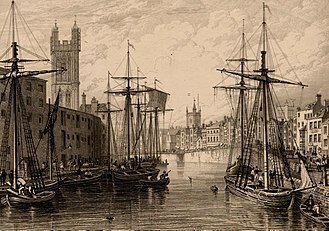 From the 13th to the 18th century, Bristol was among the top three English cities after London in tax receipts, Bristol was surpassed by the rapid rise of Manchester and Birmingham in the Industrial Revolution. Bristol was a place for early voyages of exploration to the New World. On a ship out of Bristol in 1497 John Cabot, a Venetian, in 1499 William Weston, a Bristol merchant, was the first Englishman to lead an exploration to North America. At the height of the Bristol slave trade, from 1700 to 1807, the Port of Bristol has since moved from Bristol Harbour in the city centre to the Severn Estuary at Avonmouth and Royal Portbury Dock. Bristols modern economy is built on the media and aerospace industries. The city has the largest circulating community currency in the U. K. - the Bristol pound, which is pegged to the Pound sterling. 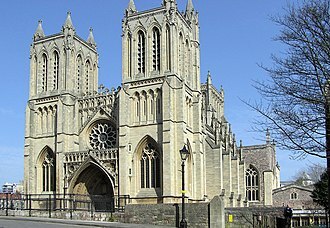 It is connected to London and other major UK cities by road, rail and air by the M5 and M4, Bristol Temple Meads and Bristol Parkway mainline rail stations, and Bristol Airport. The Sunday Times named it as the best city in Britain in which to live in 2014 and 2017, the most ancient recorded name for Bristol is the archaic Welsh Caer Odor, which is consistent with modern understanding that early Bristol developed between the River Frome and Avon Gorge. It is most commonly stated that the Saxon name Bricstow was a calque of the existing Celtic name, with Bric a literal translation of Odor. Alternative etymologies are supported with the numerous variations in Medieval documents with Samuel Seyer enumerating 47 alternative forms. The Grand Union Canal in England is part of the British canal system. Its main line starts in London and ends in Birmingham, stretching for 137 miles with 166 locks and it has arms to places including Leicester, Aylesbury and Northampton. Tolls had been reduced to compete with the railways, but there was scope for further reduction. The Regents Canal and the Grand Junction Canal agreed that amalgamation and modernisation were the way to remain competitive. The Grand Union Canal in its current form came into being on 1 January 1929 and it was formed from the amalgamation of several different canals, and at 286. Although the Grand Union intended to buy the Oxford Canal and Coventry Canal, the onward sections from Braunston to Birmingham had been built as narrow canals – that is, the locks could accommodate only a single narrowboat. 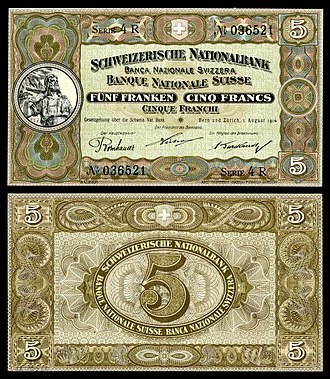 An Act of Parliament of 1931 was passed authorising a key part of the scheme of the Grand Union. 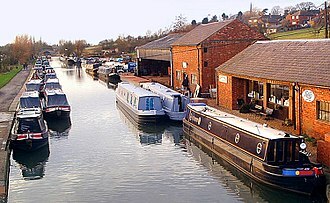 The narrow locks between Napton and Camp Hill Top Lock in Birmingham were rebuilt to take widebeam boats or barges up to 12 feet 6 inches in beam, or two narrowboats. Lock works were completed in 1934 when the Duke of Kent opened the new locks at Hatton. However, these improvements to depth and width were never carried out between Braunston and London. Camp Hill Locks in Birmingham were not widened, as it would have very expensive and of little point. A new basin and warehouse were constructed at Tyseley, above Camp Hill, the three sections between Norton junction and the River Trent are mixed in size. From Norton to Foxton, the route is a narrow canal, from below Foxton to Leicester it is a wide canal. From Leicester to the Trent, the route is effectively the River Soar, another Act of 1931 authorised the widening of the locks at Watford and Foxton, but with Government grants for this section not forthcoming, the work was not carried out. The Grand Union Canal was nationalised in 1948, control transferring to the British Transport Commission, commercial traffic continued to decline, effectively ceasing in the 1970s, though lime juice was carried from Brentford to Boxmoor until 1981, and aggregates on the River Soar until 1996. West Drayton railway station is a railway station serving West Drayton and Yiewsley, western suburbs of London, England. The station is served by services operated by Great Western Railway from Paddington to Reading stations. West Drayton station is on the line of the Great Western Railway. 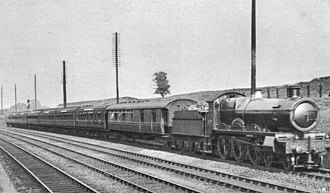 However the original station was located slightly to the west of the current station, from 1 March 1883, the station was served by District Railway services running between Mansion House and Windsor. The service was discontinued as uneconomic after 30 September 1885, West Drayton was the junction station for both the Staines branch, and an earlier branch to Uxbridge Vine Street that opened in 1856. The Uxbridge branch closed to passengers in 1962, but part of the line was retained for traffic until 1979. From 1895 the station was named West Drayton and Yiewsley, it reverted to the original name West Drayton on 6 May 1974. West Drayton station is situated to the north of the centre of West Drayton and immediately to the south of the Grand Union Canal, the station has five platform faces. Harmondsworth is a village in the London Borough of Hillingdon with a short border to the south onto London Heathrow Airport. The village has no stations, however, it adjoins the M4 motorway and is bisected by its predecessor. Harmondsworth is an ancient parish which included the large hamlets of Heathrow, Longford. Longford and Sipson have modern signposts and facilities as separate villages and its great barn and its church are well-repaired medieval buildings in the village. The largest proportion of land in use is related to air transport. The village includes public parkland with footpaths and butts onto the River Colne and further land in its park to the west. The village made headlines on 25th October 2016 as it was announced by HM Government that Heathrow Airport would now get permission to apply for a third runway. According to current expansion plans, around half of the village will have to be demolished to make way for the north-west runway or rather the grassy space that surrounds the runway. The other half, including the church and Great Barn. Harmondsworth is mentioned in Domesday Book, its coming from the Anglo-Saxon Heremōdes worþ, meaning Heremōds enclosure, or Heremundes worþ. Harmondsworth remains a parish, with the name first recorded in AD780 when King Offa granted land to his servant Aeldred. 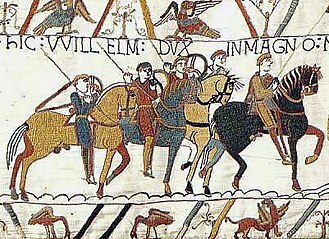 Before 1066 the manor was owned by Harold Godwinson, and at the Conquest it passed to William I, HARMONDSWORTH, a parish, in the union of Staines. Middlesex, 2½ miles from Colnbrook, containing 1330 inhabitants. The living is a vicarage, with that of West Drayton united, net income, £530, patron, H. De Burgh, Mary College of Winchester in Oxford. 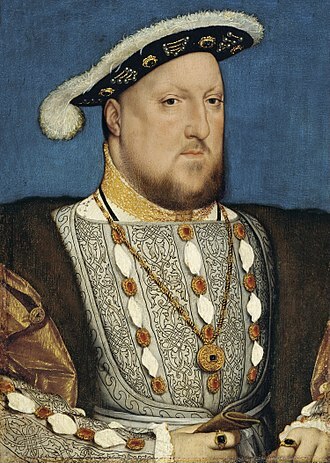 Winchester College and New College retained the manor until 1543 when it was surrendered to Henry VIII in exchange for property elsewhere, in 1547 the lordship and manor was granted to William Paget, 1st Baron Paget, KG, PC. The Pagets held on to the manor until the eighteenth century, selling most of early during the time of the heir of Henry Paget, 2nd Earl of Uxbridge, Henry Bayley-Paget, Lord Paget sold some of it in 1672. Charing Cross denotes the junction of Strand and Cockspur Street, just south of Trafalgar Square in central London. It gives its name to several landmarks, including Charing Cross railway station, Charing Cross is named after the Eleanor cross that stood on the site, in what was once the hamlet of Charing. The site of the cross has been occupied since 1675 by a statue of King Charles I. A loose Victorian replica of the cross, the Queen Eleanor Memorial Cross, was erected a short distance to the east outside the railway station. Until 1931, Charing Cross referred to the part of Whitehall between Great Scotland Yard and Trafalgar Square, at least one property retains a Charing Cross postal address, Drummonds Bank, on the corner of Whitehall and The Mall, which is designated 49 Charing Cross. Since the early 19th century, Charing Cross has often been regarded as the centre of London. Erect a rich and stately carved cross, Whereon her statue shall with glory shine, George Peele The Famous Chronicle of King Edward the First The name of the area, Charing, is derived from the Old English word cierring, referring to a bend in the River Thames. Folk etymology suggests the name derives from chère reine — dear queen in French — and this wooden sculpted cross was the work of the medieval sculptor, Alexander of Abingdon. It was destroyed in 1647 on the orders of Parliament during the Civil War, a 70 ft -high stone sculpture in front of Charing Cross railway station is a copy of the original cross. Erected in 1865, it is situated a few hundred yards to the east of the original cross and it was designed by the architect E. M. Barry and carved by Thomas Earp of Lambeth out of Portland stone, Mansfield stone and Aberdeen granite. It is not a replica, being more ornate than the original. A variation on the name appears to be Charygcrouche, near St Martin in the Fields, since 1675 the site of the cross has been occupied by a statue of King Charles I mounted on a horse. The site is recognised by convention as the centre of London for the purpose of indicating distances by road in favour of other measurement points. Charing Cross is marked on maps as a road junction. 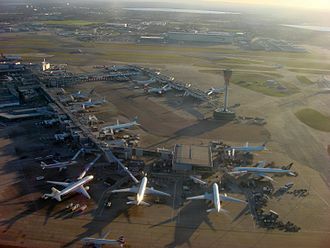 London Heathrow Airport is the busiest airport in Europe in terms of passenger numbers and the second busiest in the world in terms of international passenger numbers. The Great Barn, 19 July 2015, from the west, showing its new roof and the church tower on the right. Owner from 1069: Abbaye Sainte-Catherine du Mont, or Abbey of the Holy Trinity and Saint Katherine, at Rouen in Normandy. 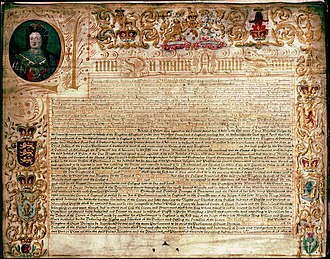 William Paget, granted the lordship and manor in 1547. Farm buildings at the eastern end of Harmondsworth, July 2015. Maidenhead Railway Bridge carrying the line over the River Thames.